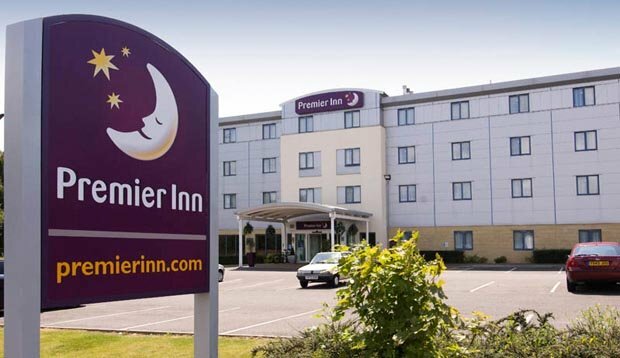 Premier Inn can be contacted for general enquiries on their UK phone number 0333 003 0025 for booking amendments, to find a hotel in a specific area and to add extras to your reservation such as breakfast meals. Moreover once you have made a booking you can call this helpline to confirm their check-in and check-out times so that you arrive at your destination in sufficient time. Likewise you may phone this number to confirm their parking facilities and associated charges. Alternatively if you are planning to arrive by public transport you can call this number for directions from local train stations, bus stops and notable landmarks. Calls to the national Premier Inn contact number 0333 003 0025 are charged at the same rate as phoning local UK numbers which start with 01 and 02 prefixes. Usually you will pay a per-minute rate plus an access charge to call these numbers, be aware that these charges may be higher for mobile callers. However you may also be able to contact Premier Inn for free regardless of which device you call from if you have inclusive minutes remaining on your monthly tariff. You can call their customer service team from 8:30am-7pm Monday–Friday, 9am-5pm on Saturdays and 10am-6pm Sundays however these times may be reduced on UK bank holidays. Phone Premier Inn to make amendments to your Flex Rate booking by calling their dedicated contact number 0333 003 8101 where you can request a refund or amend the dates of your stay. Alternatively you can call this helpline for technical support when making alterations to your booking whilst using their online service. Please note that you will be unable to make these alterations if you booked a Saver Rate room and any changes to your booking must be made prior to 1pm of the first day of your stay. Contact Premier Inn to book a room by calling their reservations helpline number 0871 527 9222 where you can request a single, double or triple room. Moreover if you are travelling with children you can request a pullout bed or cot so that they can be accommodated in the same room. Furthermore you can dial this number to request an accessible room if you have a disability. Please be aware that calls to this helpline cannot be included in any free minutes allowances and are normally charged at substantially higher rates than calls to their 03 telephone numbers. Phone Premier Inn on their group bookings contact number 0871 527 9253 to book 10 or more rooms at their hotels. This service is useful for business customers on a corporate conference, sports teams and professional contractors. However please note that they may not accept stag and hen parties and availability in their inner-city hotels may be severely limited for large bookings. Premier Inn offer several ways to contact their customer care staff regarding an upcoming stay in their hotels, such as email and postal addresses. Special promotional rates can also be found on their social media profiles where you can also find out more about their room types and food menus. Contact Premier Inn via email by visiting their UK customer service website where you can also log in to their secure platform to manage your hotel booking. You can also find links to their hotel finder and to confirm room availability through this website. 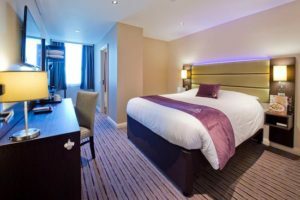 Premier Inn use social media websites to promote their cheapest room rates and to provide their customers with further details about their room options. Some of these profiles carry messaging functionality for you to send public messages to their customer care staff.